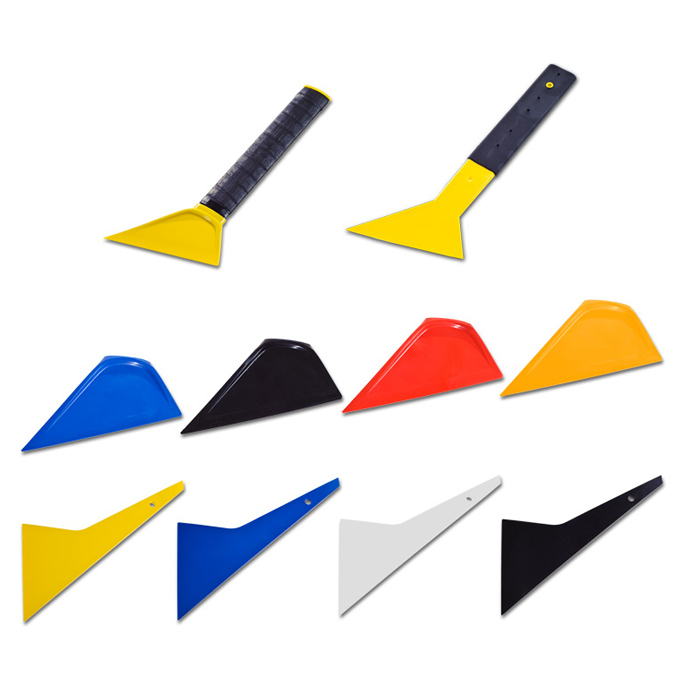 When you need extended reach to push installation moisture from tight spaces, take a giant step forward with our Foot Installation Squeegees. Big Foot, Slim Foot and Quick Foot give you added reach, while Little Foot offers the unique Foot series squeegee blade design without the handle. Big Foot was specifically designed to make it easier to remove water from the lower portion of rear windows. This industry favorite is a full 15 inches from blade tip to handle end. Because of this, Big Foot gives you the long reach you need to get to the bottom of it! Big Foot is firm enough to push out moisture and push down fingers, even where the back window rakes at a tight angle. It features a flex–firm blade molded right into the long, flattened tennis–racquet–style handle, snugly wrapped with genuine Head SofTac traction grip material. This combination works like a charm, transferring squeegee pressure to the point-of-contact where you need it, deep down in the back window. Meet Big Foot’s slim and trim sidekick. Slim Foot has a soft rubber handle with the same long 15 inch reach to get down into back windows. And its slimmer design allows it to get into more spaces, and makes it lighter and more economical to boot. When you need a stiff squeegee with a handle for jobs that require medium reach, Quick Foot is the perfect “in–between” tool. Quick Foot is slim and trim like Slim Foot, but has a shorter, unwrapped handle so it fits more easily in your tool apron. This economically priced hybrid gives you a range of flex rating options to meet a variety of applications.